2017 August - What is the Future of American Manufacturing? What is the Future of American Manufacturing? In 1960, over 25% of the US workforce was involved in manufacturing. 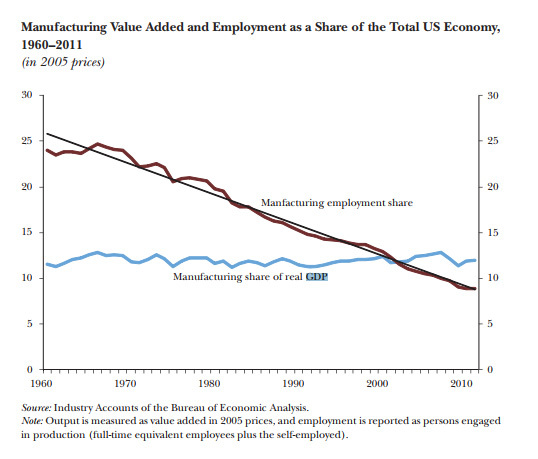 Now only around 10% of the US workforce is involved in manufacturing. But over that time the share of US manufacturing as a percent of Gross Domestic Product (GDP) has stayed relatively the same, while the US GDP (economy) has significantly grown. 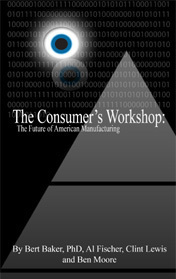 So what is the Future of American Manufacturing? The low skilled monotonous tasks of the past won’t exist in the future and will be taken over by robots. But the manufacturing of custom products and other high-end products will only continue to grow. When a product is made for the unique needs of an individual company or person, the manufacturer’s margins and market share are protected. The tool that helps make custom products possible on a mass scale – product configurators. If you are interested in how product configurators can help your organization, contact us. We have been implementing product configurators for organizations for over 20 years.